Events that have so much resting on them rarely unfold with such an air of assurance. The three original members of the band seemed to be relieved to be relinquishing the burden of anticipation. The heaviosity has always been the cornerstone of their reputation but it was astonishing to see how funky they could be for a rock band. With a synergy like this going on, it would be an act of cosmic perversity to stop now. The overriding sensation for me strangely was one of relief. Not just because they managed to build on what they’d left behind – and with a 30 year advance in technology sound even better that they had, before but the relief of simply being older – to be honest and of not being required to take it all seriously any more. You want dogged by the agonies of earnest teenage argument. You could watch a 63 year old man conjuring up symphonies from his guitar and you didn’t have to worry about weather it was a courageous art statement. It was just a slice of pure theatre, of drama and spectacle and a magnificent refusal by the four of them to airbrush their attack. I felt very lucky to have seen it. It’s difficult to believe this is a band who have barely played together for the best part of three decades. They sounded awesomely tight, bizarre, beguiling and better than ever. 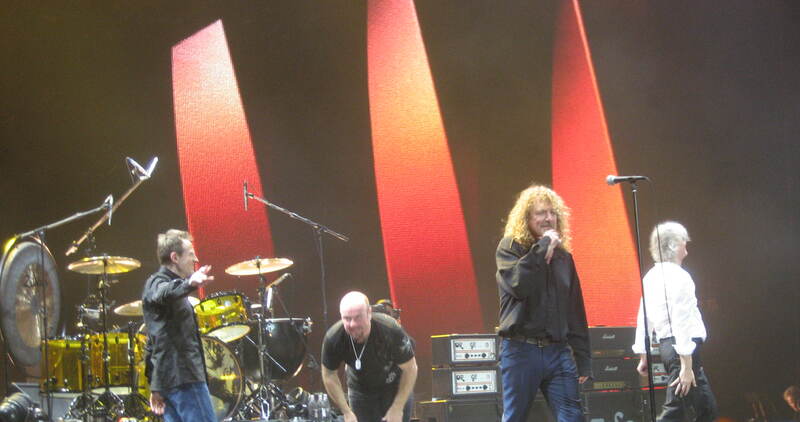 Led Zeppelin have proved in the face of all this reunion interest that they can still cut it. And then some. On tonight’s showing they are much rawer, more vital sounding, less pantomime than any of their dinosaur rock contemporaries. What’s more they appear to be doing it again for the right reasons. That of being the joy of playing not money. Will they continue? On this evidence it would be a travesty if they didn’t. It’s quite shocking to find men of advanced years wielding such power. If there is an entirely unique Zeppelin moment Kashmir is it and they nail it here a great sets greatest moment. 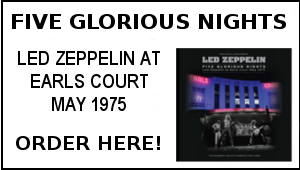 If indeed this is to be their final stand then Zeppelin will have bowed out with a proper command performance. One is left to wonder though how they can now possibly leave all this behind again. 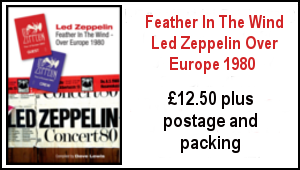 The greatest thing about Led Zeppelin’s 2003 DVD was the footage from the Royal Albert Hall in 1970 when the band were still fresh out of the traps and getting off on the sheer joy of playing together. 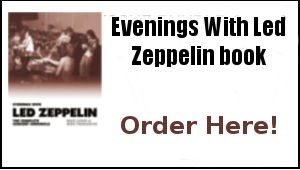 At the 02 Zeppelin rewind themselves to that Albert Hall gig. The frequently convene in the middle of the stage like a band jamming in rehearsal space almost oblivious to the audience. Its heart warming to see and a welcome acknowledgement of their shared history experience and musicality which for once eclipses all those tales of personal rifts and jarring egos. Time and time again the band turn to Jason Bonham urging him on, offering smiles nods, encouragement and after the encores of Whole Lotta Love and Rock And Roll – fatherly hugs This once most imperious of bands appears to be functioning as real human beings again. Unlike so many of his contemporaries, Plant has found a way of combining rock heroics with a dignified gravity. When he swings his microphone stand he looks like a Shakespearean king wielding a broadsword not a 59 year old acting out a pantomime of his youth. Disregarding the money for a moment, the need for these brilliant musicians to tidy up their stories for posterity to remind the world of their greatness suddenly seems very pressing. Tonight they can sleep easy knowing they have done just that. For the time being at least, Led Zeppelin’s legend has the happy ending it always deserved. Jimmy Page – Japanese press conference. We had a lot to lose if it had all gone wrong. It would have been the end of the real deal about what we had in the first place. Musically and emotionally we matched it and it put a lot of things to bed. For Ahmet it was great to get up one more time -it was a fitting thing becuase he menat so much to us and far beyond just getting our records out. Then for Jason well,he s now the complete man… he’s delt with his demons. I think he wanted to prove something to himself. It was important for his family too – I mean I’ve known his Mum since we were 15. There was so much anticipation and we matched it. It was marvellous and at the end we all shook hands and said ”Wow that was amazing,see you soon”. Robert Plant talking to Steve Jones on Indie 103.1FM Radio Los Angeles. Jason was fantastic A lot of his fills were not what his Dad did at all. To Albert’s Place for the 120th occasion I’ve been lucky enough to see Robert Plant perform live. The pub before hand was very busy -it was a real TBL comes alive occasion with so many people saying hi – amongst them Dave Linwood, Dave Roberts from Canada, Gherd from Germany, Franco from Italy, Greg Purling, Ian, Richard Grubb etc . The historic venue was well packed and we had a great view in the stalls to the side. So performance 120 – and what can you say…he just does what he does with such consummate authority. New Song and Rainbow were early highlights – it was That’s The Way when the singer and the band really hit the heights and it soared from there. Richard Thompson’s House of Cards from the Band Of Joy album was a most welcomed addition to the setlist. Gallows Pole worked a whole lot better for me this time and as Gary Foy noted, had something of an Elvis Mystery Train approach. Carry Fire was just spectacular and on the home straight Babe I’m Gonna Leave You, Fixin To Die and the delightful Seth inspired arrangement of Misty Mountain Hop all inspired a fervent crowd reaction. Encores: What is And What Should Never Be was simply joyous. 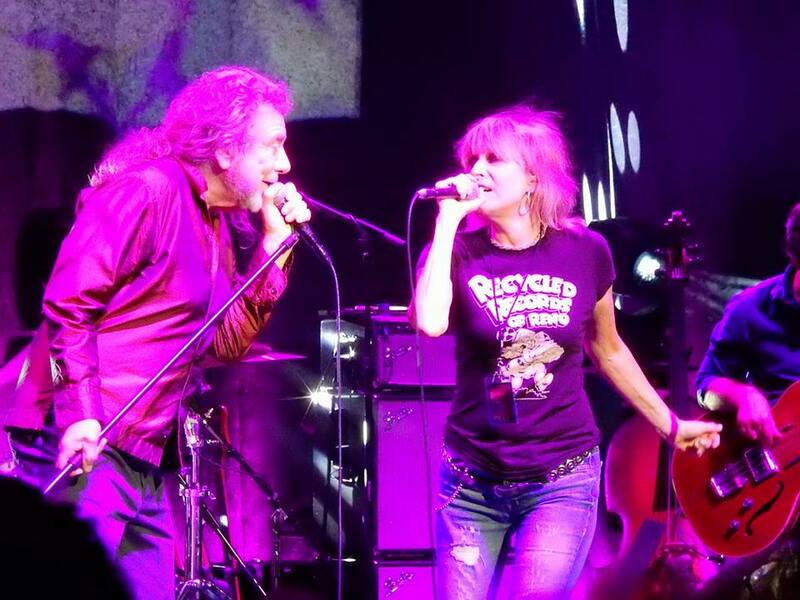 Then it was time for a surprise guest – Chrissie Hynde looking great and sounding great, adding her vocal to Bluebirds Over The Mountain as she does on the album. The lovely 2000 Miles was a seasonal bonus before a crunching Whole Lotta Love sent the audience home more than happy as they faced the December chill night air. So ends another Robert Plant and the Sensational Space Shifters live chapter, which for me began with an early October lunchtime date in Maida Vale and ends in the confines of the always wonderful Royal Albert Hall. 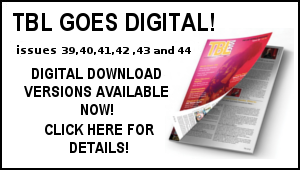 Dave Lewis – December 9, 2017. Tickets to the event are now on sale – please note you can also pay for entry on the day if that is more convenient. Entry cost is £8. Thanks Dave – clearly the Albert Hall was THE place to be last night.Nice to hear ‘House of Cards’ bright into the set list and for sure ‘Carry Fire’ is the standout track off the new album,matching songs like ‘Slow Dancer’ even ‘Most High’. Got to give it to Robert,that fantastic creative ‘always looking forward’ ethos shows no sign whatsoever of dimming. This was my 25th time seeing Mr Plant and what a fantastic night. The band are really tight (but loose, of course). Thet really gel well. Seth Lakeman certainly brought an extra heightened dimension to the band and the surprise appearance of Chrissie Hynde made an amazing night …. well,what word tops amazing? Whatever it is, then that’s the word to use.